#CMCon17 Featured Authors list is here!!! If you check out the Charity Book Signing page, these authors are listed there. They’re also listed (with extra special bio graphics and links to their websites) on our official Featured Author page. 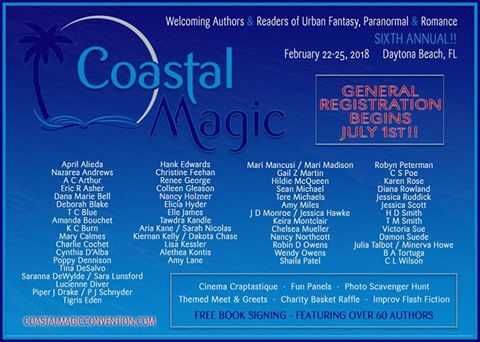 We’ve already got some awesome authors to add to this list, once all the details are ironed out, so keep checking back through the summer to see who else will be joining us by the beach in February.